(CNS): With Tropical Storm Aletta already kicking off the hurricane season west of Mexico’s coast for the Pacific area residents here in Cayman are reminded that Mother Nature doesn’t watch calendars or listen to predictions. Although long term forecasters have predicted lower than average storm activity the 2012 Atlantic hurricane season local officials are warning residents not to let their guard down. HMCI is encouraging residents to take stock of their current level of readiness, and review and update their family plan this weekend as the island marks national preparedness day on Monday’s Discovery Day holiday. The team said this was a sensible time to restock first aid kits and supplies of non-perishable food, check shutters and trim back trees as well as testing emergency equipment such as generators and flashlights. They pointed out that waiting until a hurricane is on your doorstep to buy emergency supplies is too late as they will be in short supply or even completely unavailable. “Following a major impact, it is possible that it will be days or weeks before electricity and other utilities are restored. Debris could block the roads, preventing vehicles from getting in our out of your neighbourhood. It is important be ready to be completely self-sufficient during that period. Help might not be able to reach you for days after a storm, so you need to plan for that,” officials reminded residents. 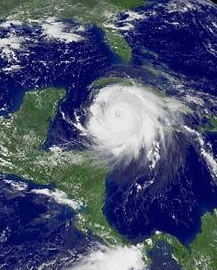 The Hazard Management team recommends people stock up with the most critical supplies to have on hand, well before a hurricane threatens which includes at least a 3-day and preferably a 7-day supply of water (one gallon per person per day); non-perishable food; manual can opener; first aid kit; Battery-powered radios and flashlights, as well as plenty of batteries. As is traditional Cox Lumber Ltd, Progressive Distributors Ltd, Kirk Home Centre, Uncle Bill’s Home Improvement Centre and A.L. Thompson’s will be supporting the National Day of Preparedness on Monday. Each company has put together disaster preparedness kits as a prize for a local resident and the stores will be hosting HMCI staff to engage the public and to distribute disaster information kits and hazard brochures. This year five lucky winners will receive disaster preparedness kits, courtesy of Hazard Management Cayman Islands (HMCI) and the participating stores. All those people who live in flooded areas need to have deep wells dug. Who do we go to about that? Also leaky roofs etc. A comittee should be put together with people who know their communities get assistance for these poor souls before a hurricane is approaching. Alot of folks out there with problems. UK conspiracy to cause chaos in Cayman! I agree definitely scaremongering ! I am a prepper, and have been so for at least 30 years. Yes, I'm that old. People I talk to — every year about this time — seem to have zero interest in preparing for themselves. There is a meme that really troubles me and it goes like this: "no worry……. government will take care of us if we are hit." Many folks around me don't insure their homes. It's a choice; sometimes it's a balance, where people cannot truly afford to insure their homes. If my neighbor ops for a new boat or a new car, I have to believe it is a choice. "The government is broke", I say, "what if they can't help you as they did with Ivan or Paloma??" Here is my truth: You can't share it if you don't have it. If we are hit again, I will share again, as I've always done. I will not allow one grain of rice to be taken by force. Please……….. everybody that reads this goes shopping for food and other necessities. Buy a couple of extra cans of something you eat. Stock up on water and bleach and/or iodine to disinfect your water. Have a light source [$5.00 headlamps are here] and batteries. This is BASIC stuff. We don't even have to have a tropical cyclone for this to be necessary — just a strong wave will keep the barge from coming here. Be prepared to close up your house or apartment. Imagine living a month without power. What will you need? Yes, I will share my resources with those who didn't prepare. It pisses me off, but I've done it before and I'll do it again. It'd be a thrill to find out that somebody actually benefitted from these humble words. The political disaster is already hear. The Chuckster warned us to be prepared for this. wait… prepare for the Political disaster or a Natural one? I uh… I'm done. Where is Dr Frank? He was very good working with the George Town people who had problems after the Hurricane. A good soul to be on a comittee to deal with the underpriveledge who need assistance as he is very familiar with them.